A new trailer from FREEHELD has just been released featuring the beautiful new song titled “Hands of Love,” performed by Miley Cyrus and written by Linda Perry. The new video beautifully highlights the poignant story of Laurel Hester [Julianne Moore] and Stacie Andree [Ellen Page]. After being diagnosed with cancer, Laurel wishes to leave her pension to her domestic partner Stacie, until she is denied by the local county officials. With the help of her allies, including Laurel’s longtime colleague detective Dane Wells [Michael Shannon] and activist Steven Goldstein [Steve Carell], Laurel will do anything she can to support her partner and fight for equality. See FREEHELD in select theaters OCTOBER 2, 2015 – Expanding October 9, 2015! Please feel free to share with all your friends! 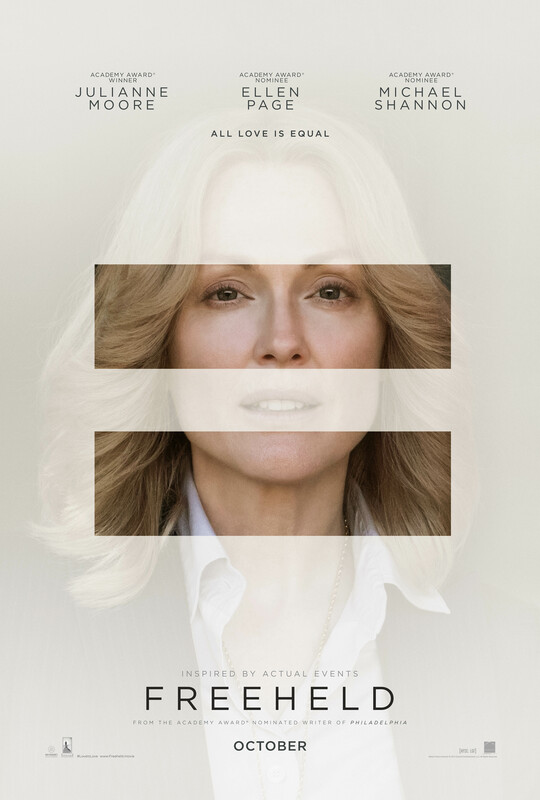 Fans can also create their own “Love is Love” meme by visiting: http://www.Freeheld.movie/loveislove Once there, fans can take or upload a picture, choose from 3 image filters including an equal sign and film taglines, then download or share their pic from any device. Based on the Oscar®-winning short documentary and adapted by the writer of Philadelphia, Freeheld is the true love story of Laurel Hester [Julianne Moore] and Stacie Andree [Ellen Page] and their fight for justice. A decorated New Jersey police detective, Laurel is diagnosed with cancer and wants to leave her hard earned pension to her domestic partner, Stacie. However the county officials, Freeholders, conspire to prevent Laurel from doing this. Hard-nosed detective Dane Wells [Michael Shannon], and activist Steven Goldstein [Steve Carell], unite in Laurel and Stacie’s defense, rallying police officers and ordinary citizens to support their struggle for equality.